Strap end-001. 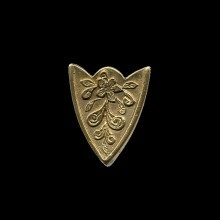 Cast brass and finished by hand. XIII - XV century. 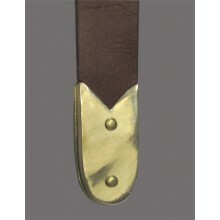 Suitable for belt 1.8 - 2 cm in w..
Strap-end-002 in solid brass. XIII - XV century . 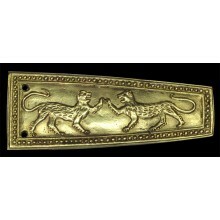 Suitable for a strap of 1,6 - 2 cm width. 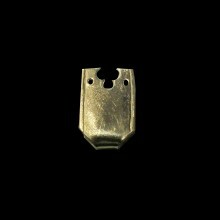 ..
Strap End 3, In cast brass with docorated plate soldered. 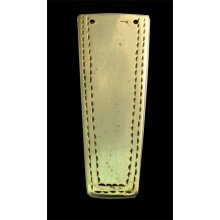 Is inspired to strap of the Statue of Rich..
Strap End-004, In brass with soldered rear plate. XIII century. 6,5 x 2 cm. 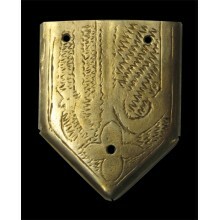 It is suitable for a 2 ..
Brass Strap end open back, with the belt on sight. XIII - XIV Cenury. 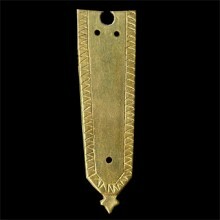 It is suitable for a 2 cm be..
Strap End 3, In brass with docorated plate soldered. XIII century. 8,2 x 3,2 cm..
Strap-end XIII - XIV century type Erfurt. 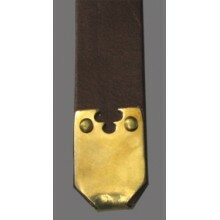 Suitable for belt 1.8 - 2 cm in width..
Strap end-008. 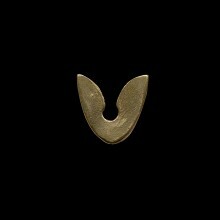 Cast brass and finished by hand. XIV century Taken from the Herfurt Tresure. 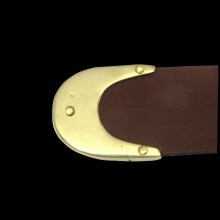 Sui..
Strap end in solid brass taken from a model of the Museum of London Collection. 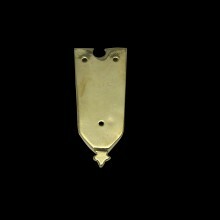 It have two se..
Strap end in solid brass, from Bitonto Italy 1229 Dim: 3,8 X 2 cm..
Strap end in solid brass, in one piece folded XIII - XIV century. 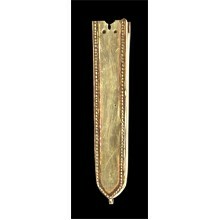 Licterature "Dress Acce..
Strap end in solid brass taken from the Tombstone of Jean de Drée died in the 1314, La Bussiere Chur..
Brass Strap end open back, with the belt on sight. XIII - XIV Cenury. 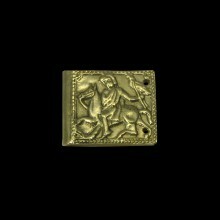 To fasten on a strap of 2,2 ..
Strap End in solid brass showing a knight hunting with a falcon, XIII - XIV century. 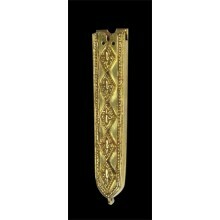 3,..
Strap end in solid brass, in one piece folded XIII - XIV century. Licterature "Dress Accessori..